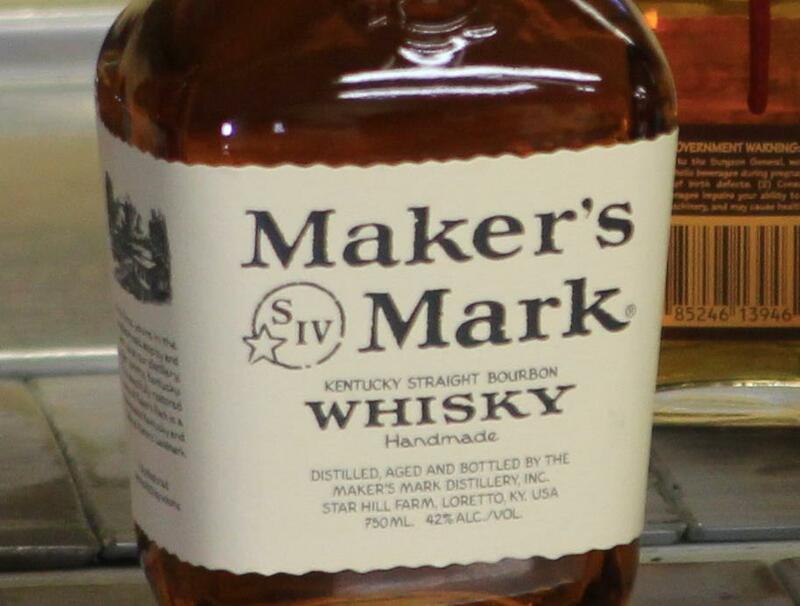 The Chuck Cowdery Blog: Why Is Maker's Mark Watering Its Whiskey Instead of Expanding? Why Is Maker's Mark Watering Its Whiskey Instead of Expanding? After aging, Maker's comes out of the barrel at about 60% ABV and water is added to bring it down to bottling proof. Maker's will now add a little more water and a little less whiskey to every bottle. Why? To get more bottles from each barrel. This is necessary, they say, because "demand for our bourbon is exceeding our ability to make it." That's nothing new. Maker's has been on allocation for something like 30 years. 'On allocation' means that when customers tell Maker's how much they want, Maker's tells them how much they can have. So what has changed? "We never imagined that the entire bourbon category would explode as it has over the past few years, nor that demand for Maker’s Mark would grow even faster." The proof cut "will enable us to maintain the same taste profile and increase our limited supply so there is enough Maker’s Mark to go around, while we continue to expand the distillery and increase our production capacity." The bottom line, for them, is that lowering the proof doesn't change the taste, and nothing else about the unique way Maker's Mark is made has changed. "In other words, we’ve made sure we didn’t screw up your whisky," said the letter co-signed by Rob and Bill Samuels. They've taste-tested it, they say, and no one can tell the difference. That may be, but there is no denying the simple fact that they have cheapened the product without lowering the price, so consumers will get a little less of what they paid for and Maker's (i.e., Beam Inc.) will make more money. They're not talking about that, of course, but there's an even bigger story they're not talking about either. They claim they are expanding the distillery and increasing capacity, but are they? In 2005, Beam (then called Fortune) teamed up with Pernod Ricard to buy and dismantle Allied-Domeq, which owned Maker's Mark. Maker's was the prize Beam wanted most. Just months before the Allied sale was announced, Maker's announced a plan to expand the distillery's capacity by about 50%. In 1996, Maker's had doubled its capacity by creating an exact duplicate of the original distillery, right next to the original. The plan was to build a third identical plant there too. Maker's announced the plan and Allied was ready to pull the trigger when it was acquired instead. It took several months for the transfer of Maker's to Beam to occur. Maker's said they assumed it would take Beam some time to evaluate everything, but since the expansion plan was ready to go and the brand was growing steadily, it seemed like a no-brainer. Once it had all of its ducks in a row, Beam surely would go forward with the planned expansion. In 2008, Kevin Smith, who was then Master Distiller at Maker's, talked to me at length about the expansion plan for an article that ran in issue 72 of WHISKY Magazine. "My job is to guard the brand and make it the same way it's been made since 1954," said Smith. He explained that infrastructure improvements had been completed, such as raising the dam on the distillery's spring-fed lake to provide additional water. As Smith explained it, Maker's Mark was the fastest-growing bourbon in the United States, with 2007 sales of 800,000 cases. The current distillery could support up to 1.5 million cases, the expansion would bring that to 2.2 million. The concern then was that, at the then-current rate of growth, they would hit 2.2 million in about 2016, and water source limitations would prevent them from growing further. Yet here we are in 2013, and construction of the third distillery has not occurred. Asked this morning when construction on it would begin, Rob Samuels said he didn't know, but thought it would be soon. So how did Beam let themselves get so far behind the curve on this? Since 2008, they have expanded visitor capacity, but not production capacity. Did they really get blind-sided? Bourbons in the same price class as Maker's have seen strong growth for the last decade or so (hence Allied's expansion plan), but it has shifted into another gear in the last two or three years. One reason has been triple-digit growth in many non-U.S. markets. Rob Samuels says that wasn't a factor and Maker's export business is small and "strategic," but here's an interesting fact. In Australia, Maker's Mark is 40% ABV (80° proof). I'll help them by lowering demand. It doesn't. 46 isn't changing. Here's an interesting fact: You make a statement that in Australia MM is 80 proof without explaining why. Looks like you're trying to imply something by using half truths. Here's an interesting fact: Chuck makes inflammatory statements without explaining all the facts. You wish to explain why it's 80 proof in Australia? Bill Samuels Jr. SHOULD be rolling over in his grave. My initial reaction was much like yours, but after thinking about it, I am much more understanding of Beam. Who knows what the demand for bourbon (or Makers) will be in five years or beyond, in this time of changing tastes and taxes, and competition. If we are Beam, how do we use limited dollars? Especially if we want to be prepared to ward off Diageo. There is nothing magical about 90%. Change is hard for us, but let's wait and see. 46 has to change as well since 46 starts from original makers. What's inflammatory, Dale, about reporting facts? I hope you meant Bill Samuels Sr., Anonymous, since Bill Jr is still very much alive. You're right, JDL, watering the whiskey has an immediate effect and costs nothing. The expansion has a delayed effect and costs millions. Daryl, 46 doesn't have to change. The water is added at bottling. You're right, Hondo, except Weller is in short supply too. @Hondo... funny you mention Weller. I'll take 107 over Maker's flagship any day personally... but I thought I read recently the 107 was going to start being bottled younger....? Likely due to demand also. If dropping a couple proof points doesn't change Maker's flavor or body, to me it seems that is more practical than bottling younger whiskey... which probably will change it. Don't get me wrong, 'd love to get my hands on a Maker's barrel proof (younger or older...) and see what kind of trouble my liver couldn't find. Just think theres a certain profile they want to maintain without sacrificing things like age because that extra year in the wood is probably fairly critical to a larger scale production product. But hell, don't listen to me, I've been drinking. Short answer: corporate greed. Drink Van Winkle or Weller instead. Maker's has shipped for many years 80 proof to Australia for the same reason most distilled spirits have less ABV there - Australia taxes based on ABV and is among the world's highest. Beam 4YR has been sold there at 72 proof for many years, legally not even bourbon in US. Thanks, Chip. I brought it up because yesterday, when I was talking to Rob Samuels, I mentioned that when Daniel's cut its US proof to 80, they pointed out that consumers outside the US prefer lower proofs. Rob said non-US consumer preferences were not a consideration in their decision. This is disappointing but not tragic. Makers is for me a benchmark whiskey but not necessarily one I like to drink a lot. We sell a good amount at the bar but those sales are nine times out of ten in a manhattan or with coke or ginger ale. I honestly don't think the average consumer will notice the flavor with all that stuff piled on top. It isn't like they are changing their image, which is really what most non industry people base their drinking decisions on anyway. We are fortunate enough to get all the weller we can use so we will continue to sell that, along with old Fitzgerald and larceny, if people want their bourbon wheated. Everything you say is right, Mike, but even for me there's a little loss of innocence in this. quel dommage. Why won't anyone address the fact that makers mark is a horrible bourbon? I agree chuck, and I feel the same way I did when I found out Templeton wasn't made anywhere near Iowa, or when whistle pig came out and they were trumpeting the Vermont banner everywhere. I realize that dropping your proof isn't as deceptive as being actively obfuscatory about your products origin, but it is a backhanded deception and a decision that is not made with the customer in mind. Not only will they increase their bottle volumes with the same amount of aged whiskey, they will also save taxes. At the 2007 sales volume of 800K cases, that's about $1.5M (assuming 9 liter cases at 84 proof as opposed to 90 proof). For a large corporation, I'm not sure its significant, but it surely would be for most folks. 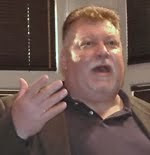 I have led a good many Australians on bourbon tours over the past several years. Not one of them have ever addressed the difference in ABV negatively. To borrow a phrase from the movie Stripes - "Lighten up, Francis." @Anonymous - The only one losing on the taxes is the gov't. Taxes are collected based on what is actually sold. If it's sold at 84*, then 84* worth of taxes will be collected from down the supply chain. Nobody makes extra money on that point. For those wondering what this means, mathematically speaking, for Maker’s Mark to switch from a 90 proof (45% ABV) to an 84 proof (42% ABV) whiskey, it is the equivalent of removing 50 milliliters (1.6907 ounces) of whiskey from a regular 750 milliliter 90 proof bottle of Maker’s Mark and then topping it back off again with water. In other words, 700 milliliters of 90 proof whiskey is equivalent to 750 milliliters of 84 proof whiskey, which also means that 14 bottles at 90 proof can become 15 bottles at 84 proof. I believe MM is still 45% in the UK. However both Buffalo Trace and Bulleit lowered their ABV to 40%. I'm not sure how the taxes on this type of thing work out, but whatever the weather, if you put more water and less whiskey in the bottle, while still selling at the same price, you are onto a winner. Here in Australia I've watched Makers go from 45% in 90's to 43% in the 2000s to 40% two years ago. All the while the price has either stayed the same or risen. Seems to me a good product becoming more average. Plenty of this going on in the aussie market due to the restrictive tax structure, personally im not a big fan of it. There are probably more but ive stopped taking note as it was getting too depressing. Still much better than no bourbon at all i guess. My two cents - Where as it makes sense to ramp up production when an increase in demand is trending...however, if you expand too far and floor drops from underneath you...it's a LONG way to fall. Personally, they should just follow Van Winkle's model and they'll do just fine. Even when the demand takes a dip. I am thankful to my friend who introduced me to Maker's Mark way back in 1999 in Australia. I like this whisky but have not had in in more than a decade after coming back to India. Maker's Mark on Proof Change: "Never Mind"